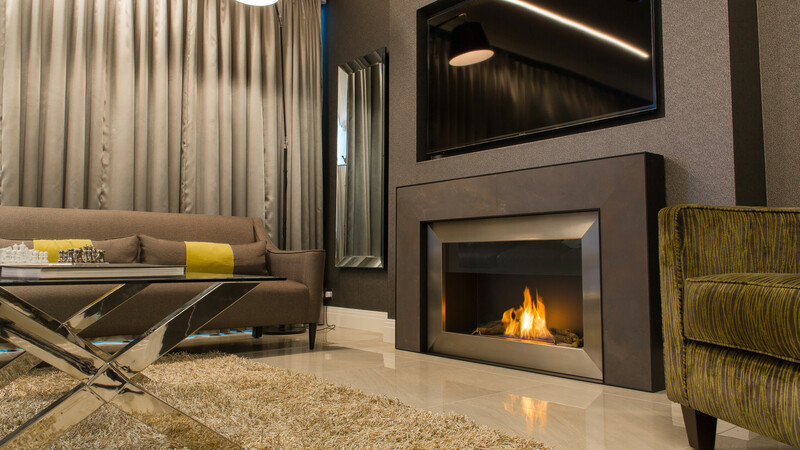 A luxury, slate designer fireplace with a unique and modern, sculptured fire surround which really carries a presence in the space. The bespoke, modern fire surround incorporates slate, brushed stainless steel and painted steel and this unusual mix of materials provides wonderful aesthetic depth as well a textured feel and finish. The fire surround is very versatile and there are plenty of other finishes, materials and colours that could be used to design a truly individual piece. 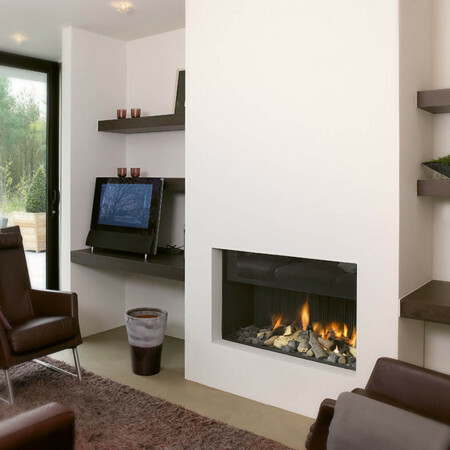 To understand more about this designer fireplace and bespoke fire surround, please contact a Design Consultant.